Work From Home Warnings Can 700 Profit Club Really Make You $700 a Day? Rating: 1 Avoid this entirely. The Bad: It's just a funnel to a hosting company, and they offer no real value or training. The hosting has poor reviews with dubious upsells. There is no genuine proof of success. The Bottom Line: Don't even bother with this one. It's clear it was created so the owner could trick you into paying for webhosting for an affiliate commission. There is nothing of value here. Stick with our top recommendation instead. What would you reply if I said to you that I’ve found a product that can earn you $700 a day forever, with just 10 minutes of set up time? Well, if you’re a regular here I’d expect your response to be: scam! And that was my first thought when I encountered 700 Profit Club, because that’s precisely what they are offering. This system looks very dubious so I thought I’d dig into it to help you decide if it’s worth your money or not. The sales page for this system is a classic single video pitch with a hidden buy now button that appears after a certain amount of time has passed. The sales video is an annoying one that goes on and on without you being able to pause or skip bits, but luckily for you I watched it for you! As every second passed in this video it became apparent that something was off here. 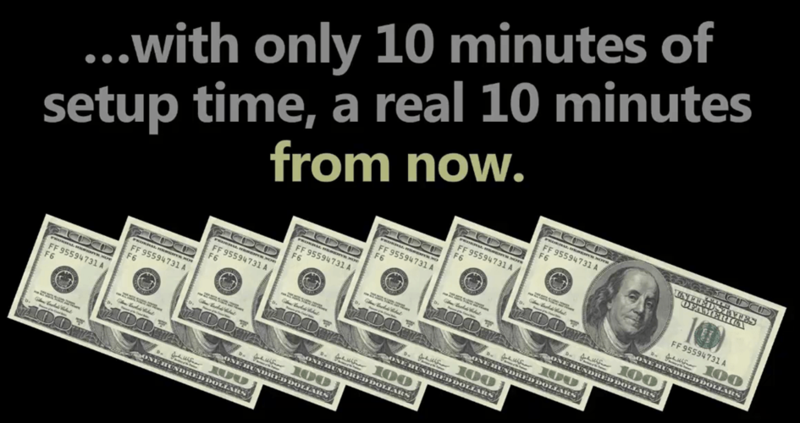 First of all the video focused heavily on how you can make $700 per day, every day with just a 10 minute setup. This figure is extremely precise, and this is something that you simply can’t achieve when making money online or any business as you never know how many sales you’ll make per day. The preciseness is a tactic: it’s enough to make a dramatic difference in someone’s life, but not too much to seem unachievable. From there the video provides two outright lies. The first being that this is the final day that you can get access to the system and that the number of places is limited. This is utter BS. This video will have said that from the day it was launched and will say it until the day they pull it off the internet. The second outright lie is that the $700 per day is guaranteed. Who guaranteed this? There’s no terms or conditions attached to the site, and as I mentioned, no business out there will guarantee a set income (especially one that is over $250,000 per year!) unless you’re being employed by them! From that point the video uses typical marketing techniques using your bad experience with previous scams to try to legitimize 700 Profit Club as something that is not a scam. This continues by showcasing, at speed, people who have apparently used the system to make lots of money. Sadly, each and every one of these testimonials cannot be confirmed, mainly because they use generic name sand stock photographs. Surely if this system made people a bunch of money they would be shouting about it from the rooftops? This sort of BS continues In the form of “proof of earnings” shown, that really prove nothing. Sure there’s some screenshots showing bank accounts full of money but a) these can be easily faked and b) even if real who’s to say the money was earned using this system? How Does 700 Profit Club Work? In order to make you the $700 a day, the system apparently uses “a new sensation sweeping the internet”. This sensation is something called Coolhandle. This sounds awesome, but what the heck is Coolhandle? Well, the video never explains this but luckily we have something called Google that can help. Coolhandle is not a new sensation, nor is it a method of making money online. Well it is, but only in the broadest of senses. You see, Coolhandle is a hosting company. Now, if you want to make money online you are recommended to get hosting to create a website, though it’s not always needed. However, just because you have a website doesn’t mean that you have the skills, knowhow or support to actually make money! There’s no information that 700 Profits Club provides anything other than a link to this hosting company: no training, no support, nothing! By signing up to 700 Profits Club you’re redirected to the Coolhandle sales page where you’re asked to select an internet marketing related domain name. These are based on your location but you can select a different one. The process continues and you’re asked to select your hosting type and its set to a 3 year plan with a bunch of extras added. This totals in at $285 which is a lot of money. Sure you can change the options and reduce it, but the fact it pushes the most expensive stuff is typical of this whole system. Even though the per month price of the hosting is reasonable, cheap even, the fact that you’re pushed to it by a dodgy looking sales pitch and the poor reviews the hosting has received means I for one would not touch them with a barge pole! 700 Profit Club is a scam in my opinion. The only thing it’s designed to do is to push you to a crappy host and get you to sign up to them. While Coolhandle might supply you with an easy way to build a site (something a lot of large well-known hosts such as Hostgator already do), it’s missing something. That something is the training, support and help to teach you how to actually make money online. At no point in the sales pitch of 700 Profit Club or Coolhandle does it mention how you’re going to actually make money. All you get is empty promises that you’ll instantly make $700 a day. There’s no doubt in my mind that all of this is utter BS and that you should avoid 700 Profit Club and Coolhandle at all costs! You will have to speak with the hosting company about getting a refund. If they refuse, you can speak with your credit card about issuing a chargeback and putting a stop on any future payments from that vendor. Thank you for the detailed and honest review of 700 profit club. I am in shock about such an ugly scheme. I just hope many people will find your review first before paying these scammers. I am always very cautious whenever easy money is offered. There is no such thing as get-rich-quick, at least not here – online. And the sooner the people understand this the less the money they lose. Thanks for the comment Arta. It’s such a shame that these schemes still exist today. Luckily, most people are catching on that there is no such thing as overnight riches and less and less people are falling for these things. I’ll keep on reviewing them though to get the word out there. 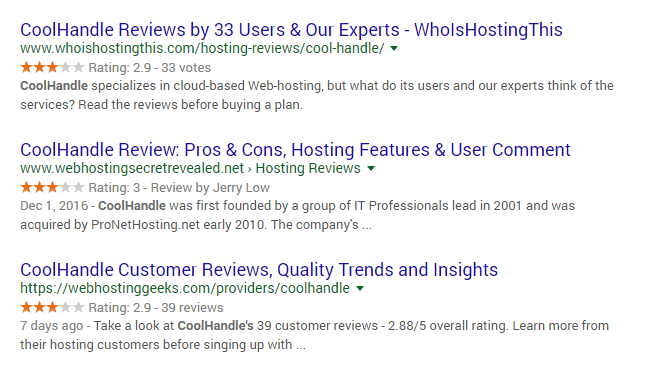 Having read your review, I still don’t understand how you are supposed to make $700, do they expect you to start reselling coolhandle Webhosting after you buy hosting from them? It’s unbelievable the rubbish products people come up with and then try to sell. It’s so unethical, I actually had to read your review several times to make sure I was reading correctly. Seriously I don’t know how people sleep at night when they run dodgy schemes like this. I don’t know where the $700 figure comes from. They just pulled an attractive sounding number out of thin air. I enjoyed reading this thorough review of the 700 profit club. I have heard of this one but never investigated or tried it for myself. I agree with you that all the red flags indicating scam are well represented here. Big promises, with little or no work, at a high cost. I am glad you are pointing this out to your readers. I have tried other systems in the past, with little success so it is very nice to see such a good review that will allow me to skip ever looking at this one and just wasting my time. I thank you for posting this review, it means a lot to those looking to better themselves online and your information will enable them to make a better decision without wasting a lot of time and money. You’re very welcome Frank! Nothing about 700 Profit Club is legit. They are just trying to dupe people into overpaying for years of hosting in order to get a big fat commission in the end. The sad part is that if these guys focused their attention on building something real or legitimate, they could be much more successful without having to dupe people out of their money. How does anyone know who to trust these days to help them set up an online business that truly makes as much money as the promoter says it does? How do we even know the program you recommend, Steve is everything you say it is? Because the program I recommend makes no ridiculous claims of overnight wealth by doing nothing. I’m honest and forthright in my claims and let people know that building a business online takes time and hard work. It’s not like winning the lottery. Plus, my recommendation lets you try out the entire system for free. You don’t have to shell out ~$300 before you find out what you’re doing. Great to see one of those rare cases where someone has actually tried and experienced the product, before giving an opinion. Usually, these reviews are loaded with speculation about what might occur with a product. Usually, referring people to a product for a commission is the tactic of financial struggling people who have little choice, as they cannot afford to try the product and give their honest experience with a product, but, when an owner does it, it’s nothing but for ripping people off to earn more money; surely, they could invest their profits to actually make a product or improve the product, but choose not to take such an approach. It’s unfortunate that these type of people make it hard for the people who are actually struggling financially and who are trying to pull themselves out of their hole. 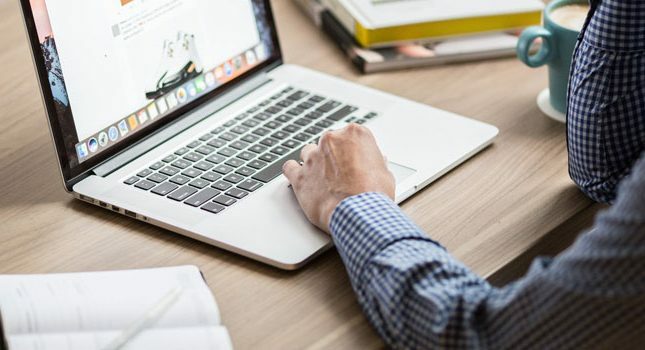 This behavior has had lots of adverse consequences that makes starting an online business much more difficult than for someone who has become successful with the conditions that existed 15 or more years ago. That video that you describe is very typical of the marketing videos that I’ve been receiving daily, now, since about April 2007; well, actually, the specifics of trying to distinguish themselves from other scams, and using limited positions have been noticed since about 2014 for me. 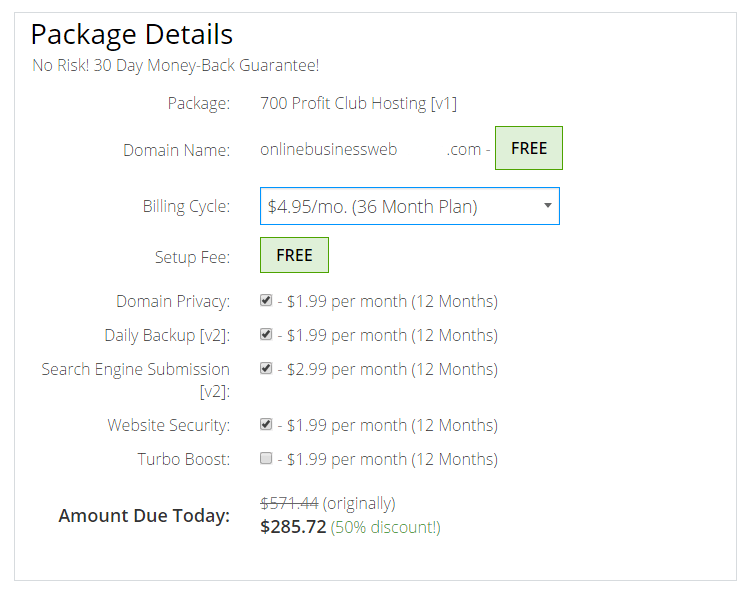 For sure, $285 for hosting is preposterous, unless, I guess, you’re limited to getting at least an annual subscription, but that’s still very expensive. Sounds like the guy is selling people hosting, but repackaging it as some type of make money online opportunity. A sales pitch for one thing, but the actual product is something else. That’s exactly what they’re doing David. 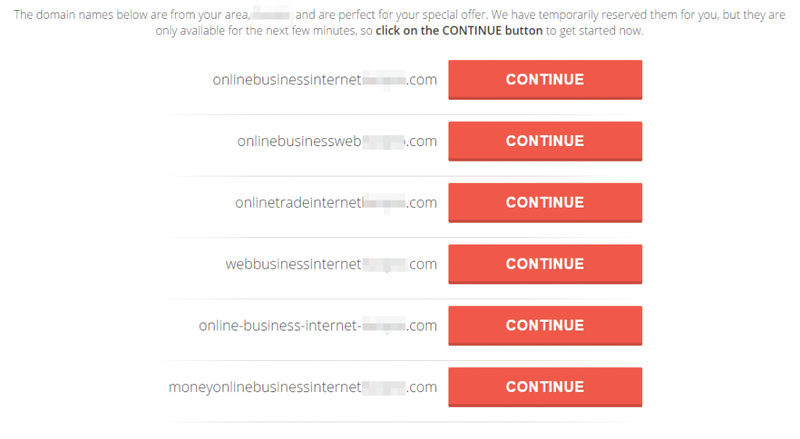 They are claiming that their hosting is necessary for their system to work and want to rope you into paying hosting fees for as long as possible. Obviously web hosting is crucial to any Internet business, but the way 700 Profit Club is going about this is extremely dishonest in my opinion. Plus, they are asking beginners to shell out nearly $300 for 3 YEARS of shared hosting, when they could easily get started for under $10 per month. This is nothing more than a cash grab. Basically, any online program that promises an individual that he/she could earn $700/day with, as what they stated, the need to only spend 10 minutes to set up the “system” simply reaks of fraud/scam/bogus; you name it. 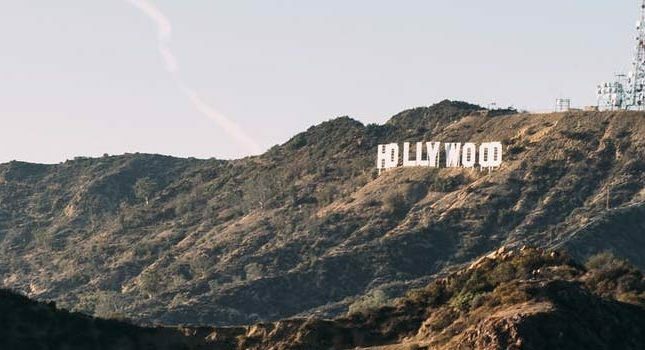 In your great review, one could easily see that this 700 Profit opportunity resorts to the well-worn tactic of trying to entice people through the testimonial of an individual, James from Alaska, who quickly made money immediately. One even sees the image of “James” bank statements which prove that he became rich. A bunch of easily doctored b.s. James is either an actor or a relative of the person running this con. The system behind the 700 profit club is complete garbage, something that you exposed clearly as it is nothing but a not-so-cleverly disguised hosting company called CoolHandle. Even the name should give a person pause in considering whether or not he/she would spend one penny in this venture. An online opportunity like this would probably have reeled in a lot of people 10 – 12 years ago. Hopefully by now, people have been educated to the fact that these get-rich-quick schemes are as phony as 4 dollar bills. Not worth a minute’s time from anyone. I’ve been running this site for over 10 years now so I’ve seen just about every scam online. You would think people would be wary to this kind of garbage by now, but we still have people losing money to Nigerian princes on the daily. These all follow the same formula: hype + hype + more hype + EVEN MORE HYPE = sale on overpriced garbage. I will keep covering these for years to come to make sure no one has to lose any more money to these things.. I was looking into buying into this product and after reading your review I can see that it is nothing but a waste of money. There should be some sort of law against people like this trying to take your money. 700 Profit Club is clearly just an affiliate commission cash grab. I’m glad you were able to read our review and save some money on sub-par hosting.